Art direction of the official launch of a new craft beer brand (MUSA). 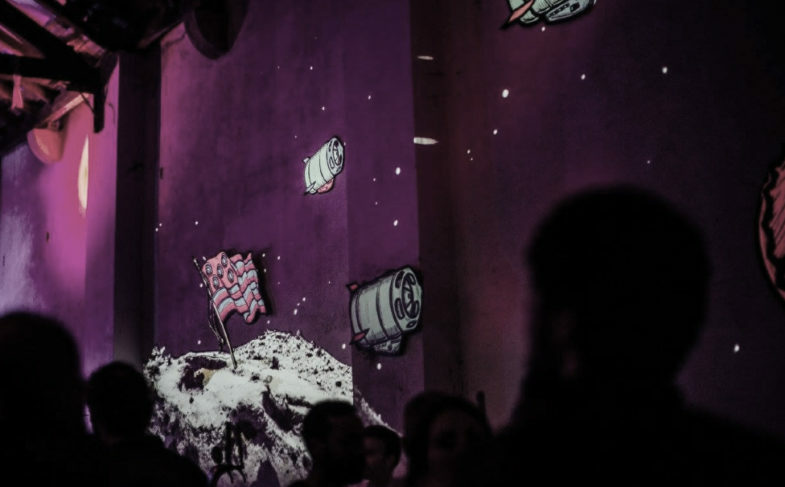 The challenge was to create an interactive visual experience on a 20 meters long wall. 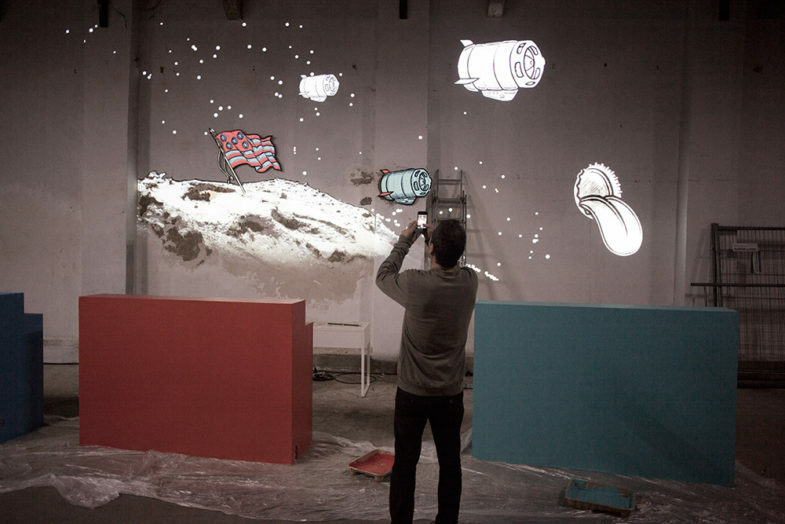 After carefully studying the statement of purpose of the brand, analysing all the already developed communication design and testing in-house which materials were more suitable, we set out to build an interactive video mapping. 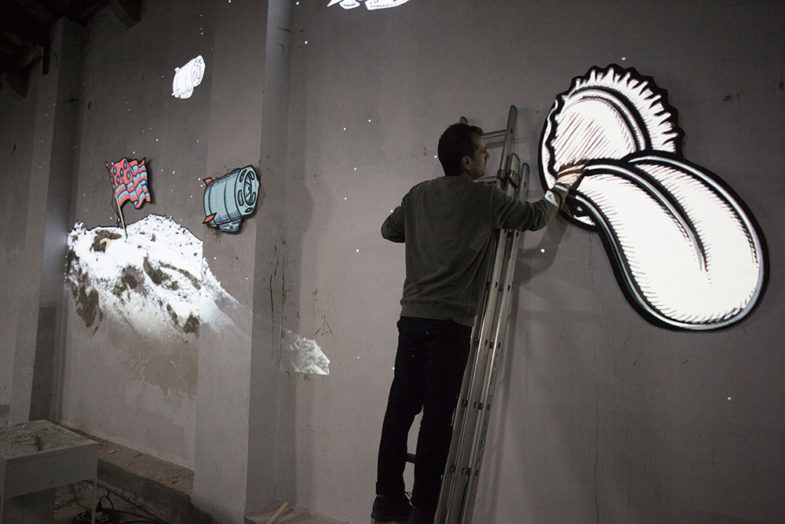 Different cardboard elements were drawn and placed, drawings were also directly made on the wall and specific sections of the wall itself were sculpture. All of these elements were mapped and several interactions were pre-programed.